Alison Murphy is currently the Academic Manager/Head of Early Years and Social Work. 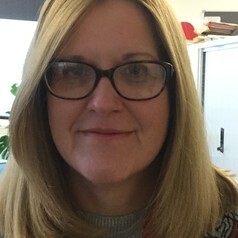 She primarily oversees the early years and social work courses at the University including the BA Early Years Education and Practice and the BSc Social Work. Alison has worked at the University of South Wales since March 2014. Alison Murphy originally trained as a primary school teacher and taught in a variety of educational settings in a range of differing catchment areas including a school for children with special educational needs. Following on from this Alison worked as a Deputy Head of Faculty in an FE college before going on to work in the HE sector. Prior to USW, Alison has also worked in Swansea University and Cardiff Metropolitan University.